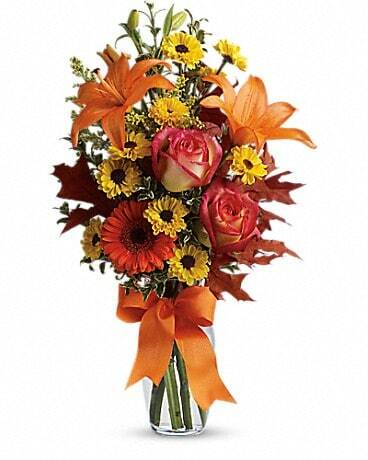 It's the perfect bouquet for fall. Capturing the color of the season with bright autumn blooms, it features a charming ceramic vase with hand-painted stripes that will bring years of joy. 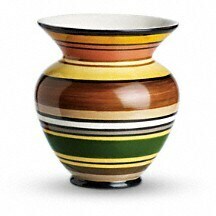 This charming ceramic cachepot with its hand-painted striped motif is from Teleflora's celebrated Flowers-in-a-Gift collection. 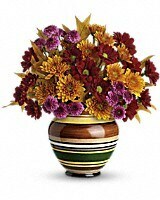 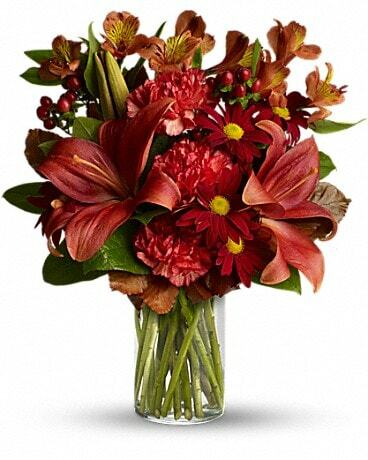 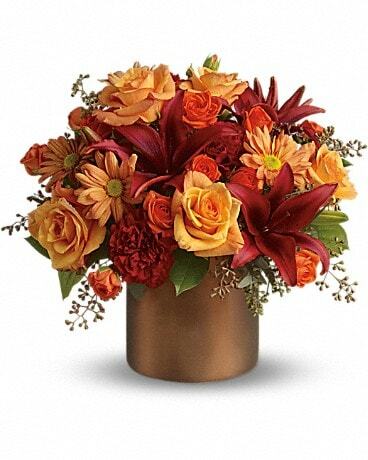 Beautiful, durable, it will be an instant favorite - with and without flowers.